I have to admit I haven’t read The Lord of the Rings but I have seen the movies over 100 times! I know I will read it one day but the films are touching me so hard every time I watch them that I just cannot risk ruining this effect (not that it is possible). I used to love Game of Thrones, the TV show, and I was refusing to start reading the books because I knew it wouldn’t have had the same effect on me anymore. However, I couldn’t resist the temptation any longer and started reading and as expected, I don’t feel the same way when I’m watching it now. I still love it, but I love the books more. With The Lord of the Rings, I think such thing cannot happen. This is my favourite movie-trilogy ever and nothing will replace it. It is amazing how its effect on me hasn’t changed over the years. Every time I’m watching the movies, I find something new I’ve failed to see the previous time I’ve watched them. There is some kind of special magic in this trilogy and a very big amount of wisdom. What is so special about LOTR is the way it’s been made. With so much passion and dedication. It is a huge project, planned for many years and one can see it from a first sight. The actors are brilliant, the effects are amazing, the music is divine, the costumes are magnificent etc. 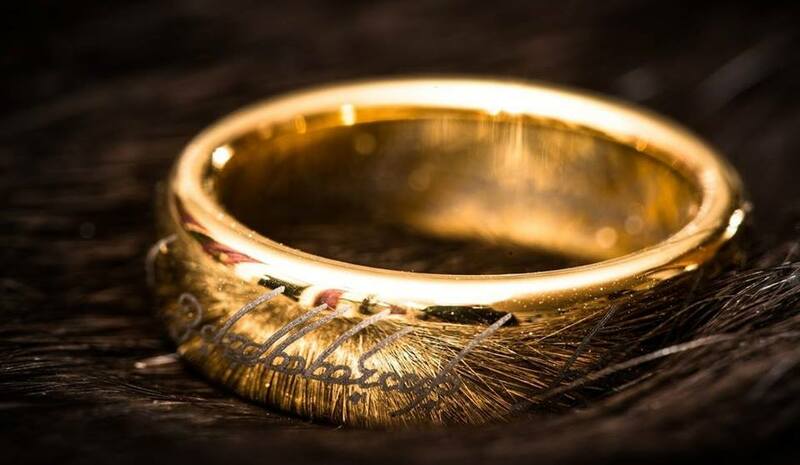 The Lord of the Rings is a classic story about good and bad but told in such a way that it makes it anything but commercial. The way it shows how good turns into evil and evil turns into good is absolutely brilliant- the border between the two is so blurred. Let’s take a classic example- Gollum. He’s been a normal hobbit with a normal life, nothing extraordinary. However, when the Ring- the source of evil- comes to him, he cannot resist its power. The Ring corrupts Gollum’s heart and makes a pity creature out of him- treacherous, hateful and ruthless. But at the same time, he remains Smeagol as well- desperately seeking protection, a saviour, a friend. He finds all this in Frodo- the Ring-bearer. Just like Smeagol/Gollum, Frodo had a normal life, all of which he spent in the Shire. For me, the Shire symbolises simplicity, beauty and pure happiness, especially in the movies. The cute, little houses, the green fields, the harmony in which the hobbits live. Frodo has to leave all this and go on a mission which may cost him his life. This probability is enough to kill his will. On the other hand, the Ring is trying to corrupt him as well and to take power over him. However, unlike Gollum, Frodo shows extraordinary fortitude and strong will, which helps him oppose to the power of the Ring. As Galadriel says: “Even the smallest person can change the course of the future“. My point is, the transformation of good into evil and of evil into good is very interesting to see as it actually shows how life is. No one is entirely good or bad- not even the wise elves or Gandalf, not even Aragorn or Legolas or Gimli, not even Saruman and Sauron. Both good and bad live inside us, but it is our choice to follow one or the other. 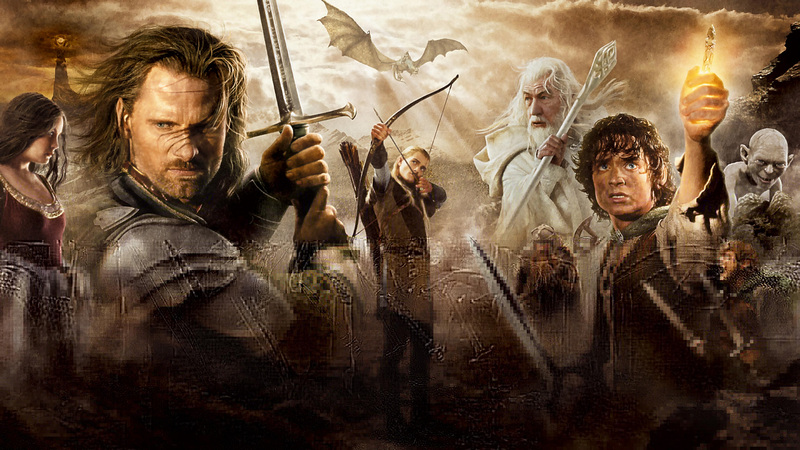 The Lord of the Rings is a really good metaphor for real life; an epic story about the war between good and bad. However, the real war is inside us and we fight it every single day with the choices we make. We all have one mighty “Ring” within us that corrupts us, seduces us, tricks us. Whether to surrender to it or fight it, is for us to decide.